The Arch is the visual image of our governance model. The parents, staff, students, and community are the foundation for the Board. Every board position is designed to support the Principal, who then supports the teachers, who are in direct contact with our children every day. 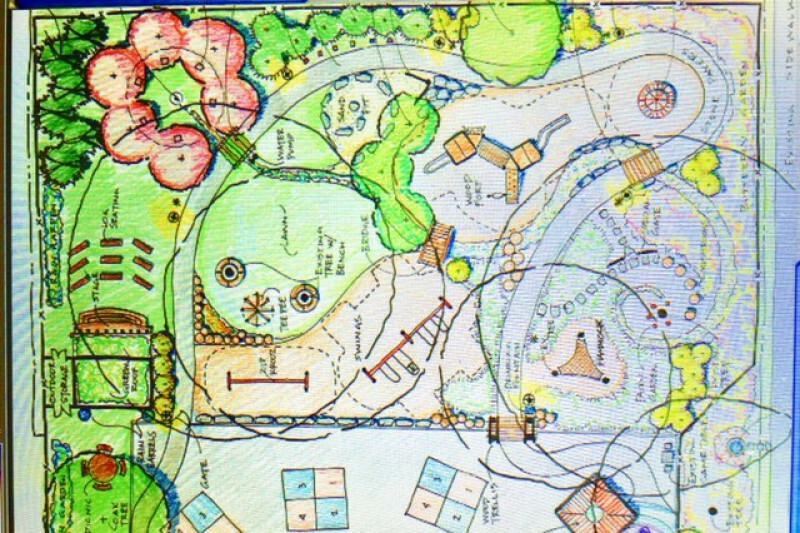 Always, with every decision, we ask, "What is best for the students of City Neighbors?" 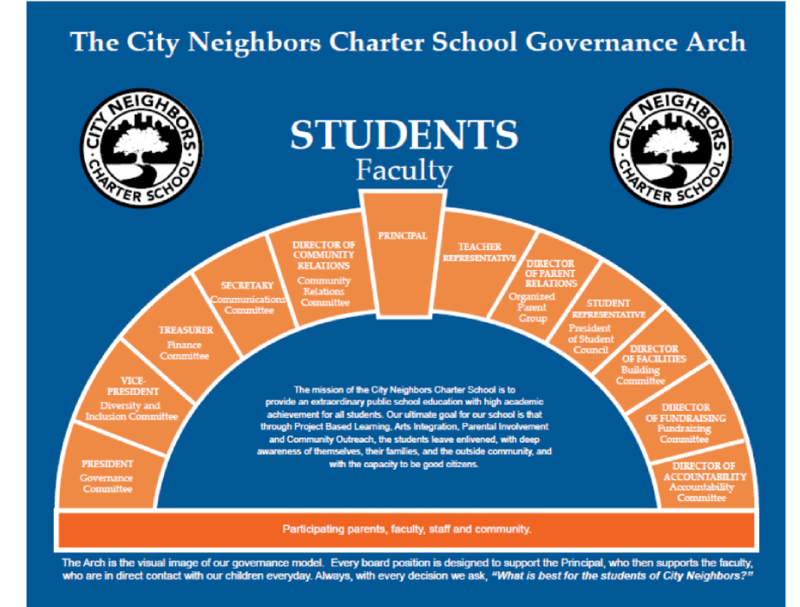 City Neighbors Charter School is managed by City Neighbors Charter School, Inc., a certified 501(c)3 nonprofit organization. The business and affairs of City Neighbors Charter School, Inc. are managed under the direction of its Board of Directors. All powers of the Corporation may be exercised by or under the authority of the Board of Directors. The Board of Directors keeps minutes of its meetings and full and fair accounts of its transactions. The Board of Directors is made up of an elected body of volunteers. These individuals are a combination of parents in the school and members of our community. Directors are elected for their ability to perform specific duties. Elections are held every year. Please see our bylaws in the Governance binder located in the Parent Room. Every family of a CNCS student is a member of the corporation. You have a say at CNCS, please use your power and get involved!